"The Rapids"-- 36" x 48" , acrylic, SOLD. 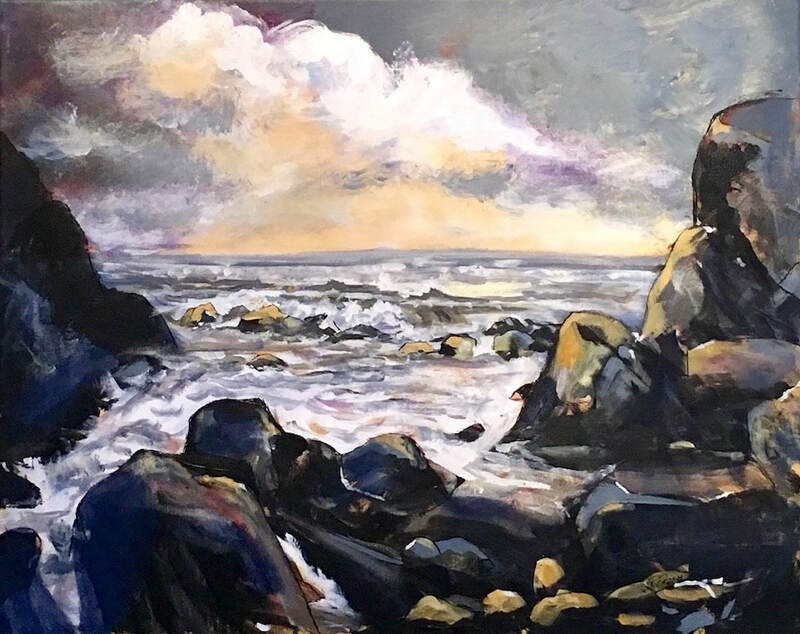 "Coastal Rocks"-- 24" x 30" acrylic. 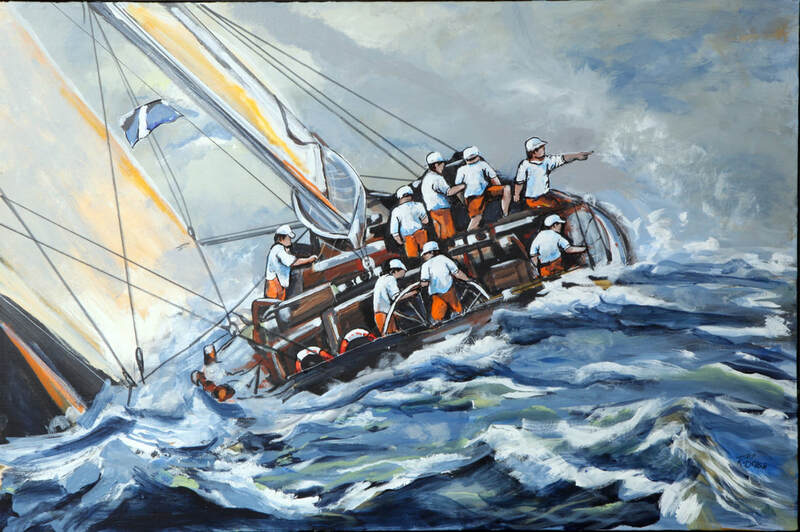 "Ocean Racing"-- 24" x 36" ,acrylic.
" 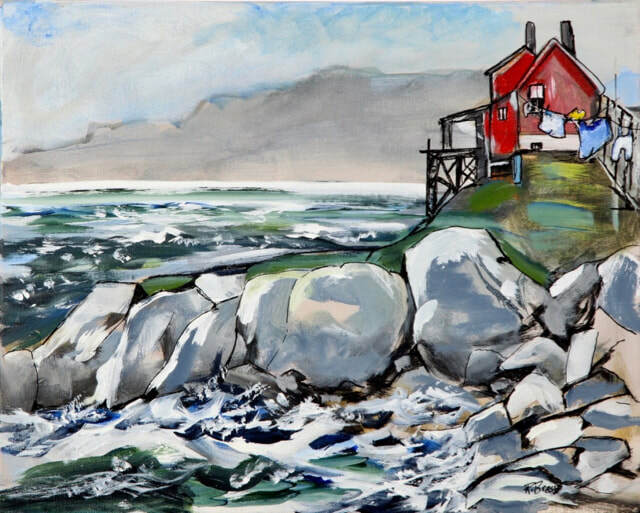 Rocky Sea Shore" -- 36"x 48", acrylic, SOLD. 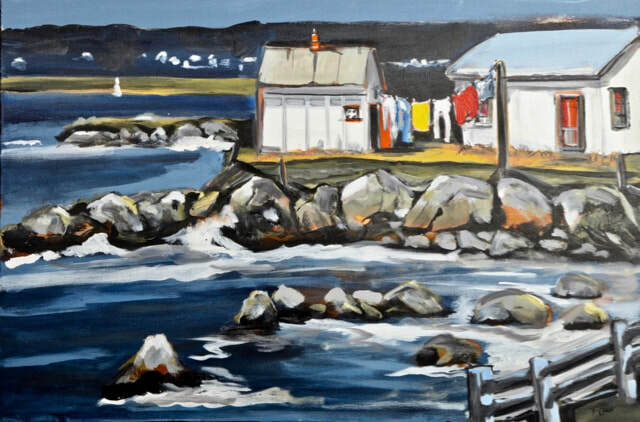 "Bay House"-- 16" x 20", acrylic.